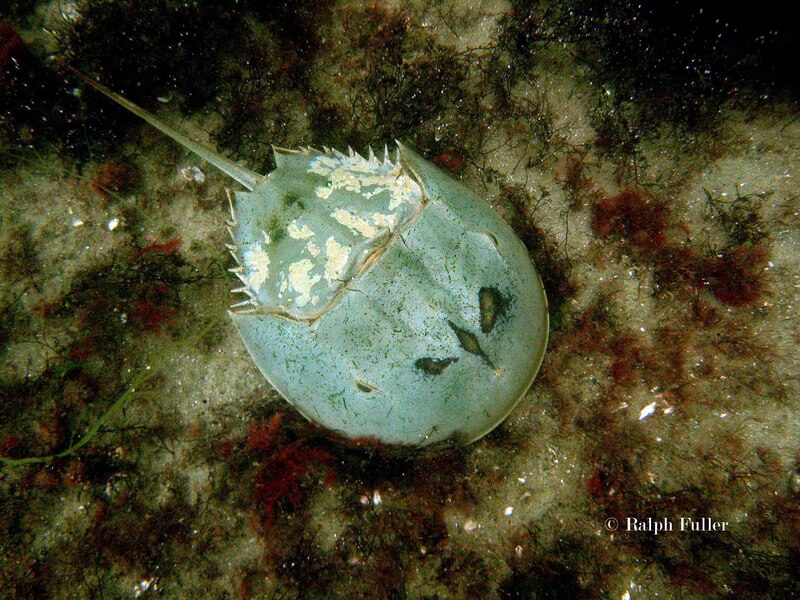 HORSESHOE CRABS ARE “LIVING FOSSILS,” a group of animals that have been on Earth since before the dinosaurs. Beside being intriguing members of the web of life in their own right – they’re not actually crabs, but four species in a far different arthropod family – they immensely benefit us all. BLOOD WILL TELL Their bluish, coppery blood is regularly harvested for a unique clotting agent that is used to test for bacterial contamination during the production of contact lenses, flu vaccines and multitudinous other medications. Horseshoes collected for blood donation are generally returned to their habitats. But in some parts of the world they’re also harvested for bait or even food. Horseshoes’ unique blood being harvested in a lab. Horseshoes can give up a third of their blood without being harmed. AT RISK Now, thanks to climate change, loss of habitat and overharvesting, they’re at risk, with the Atlantic horseshoe listed as “Vulnerable” on the Red List of the International Union for the Conservation of Nature (The three other species, all found in Southeast Asia, are said to also be in difficulty). MEDIA ATTENTION Recent articles in the Washington Post (“This creature has 10 eyes, legs that chew and blood that saved your life“) and Smithsonian Magazine (“Forget Dinos: Horseshoe Crabs Are Stranger, More Ancient—And Still Alive Today“). 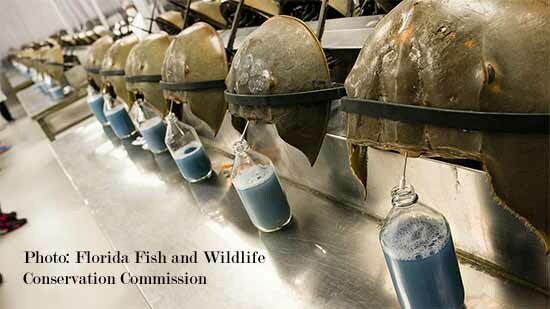 And here’s a link to a page on the Florida Fish and Wildlife Conservation Commission website that has a great deal of basic, factual information about horseshoe crabs.